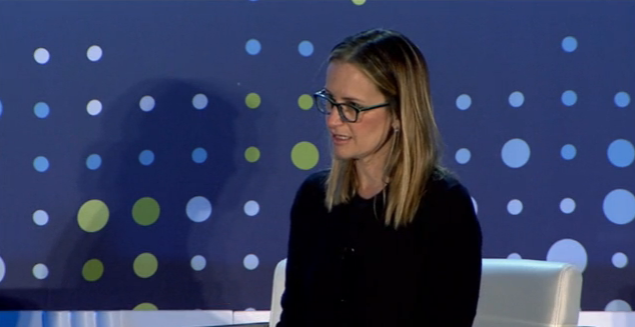 At Lendit, Bloomberg Reporter Emily Chang asked Square Capital head Jacqueline Reses to explain the real reason behind Square’s shift from merchant cash advances to loans. Reading between the lines, she seemed to be saying that investors like certainty and exact terms whereas the traditional merchant cash advance product was harder to sell off or securitize because they lack a defined element of time. Referring to the criticism that online lenders have been getting recently for their fast approvals, Chang specifically asked if companies like OnDeck were approving loans too quickly. Reses used the word “transparency” several times but in explaining such did not reference the disclosure of Annual Percentage Rates even once. Instead she mentioned the importance of spelling out the total dollar cost to the merchants, subtly reconfirming the findings that are coming from many other alternative lenders. Was the move from MCA just about investors though? Read our initial assessment and expanded theory.